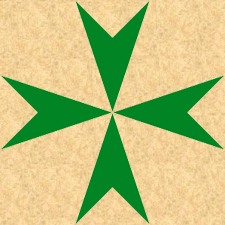 The Military and Hospitaller Order of Saint Lazarus of Jerusalem was an ancient order of chivalry with its origins in a leper hospital founded by the Knights Hospitaller (Knights of Saint John) in 1098 during the Crusades in the Latin Kingdom of Jerusalem. Thus it is one of the most ancient of the European orders of chivalry. It was originally established to treat those suffering from the virulent disease of leprosy. As it happens, its original knights were lepers themselves (David Marcombe. Leper Knights. Boydell Press. 2003.). Hospitals were eventually established by the Order all across the Holy Land, notably in Acre. It is not known precisely when the order became militarized, but it did occur prior to the end of the 12th century due to the large numbers of Templar and Hospitaller knights being sent to the leper hospitals to be treated. The order then established what were known as "Lazar houses" across Europe to care for lepers. In 1154, King Louis VII of France gave the Order property at Boigny, which was to become the headquarters of the Order outside of the Holy Land. Despite being militarized, the Order remained principally hospitaller in nature. Yet, it did take part in a number of battles including the Battle of La Forbie in 1244. In that battle, all the Lazar knight who fought died. Typically the leper knights were protected by a number of able-bodied knights. In times of crisis, however, the leper knights themselves would take up arms. The Order enjoyed the favor of the Popes, including Alexander IV, Urban IV, and Clement IV. The Order abandoned their military activities quickly after the fall of Acre in 1291 (David Marcombe. Leper Knights. Boydell Press. 2003.). The Order then moved from the Holy Land to Cyprus, then to Sicily, and then back to its headquarters in Boigny. In 1308 King Philip IV of France granted the Order his temporal protection. In 1490, Pope Innocent VIII supressed what he deemed an order that had fallen into uselessness and transferred their property to the Order of Saint John. Pope Julius II renewed this suppression in 1505. Pius IV annuled the bulls of his predecessors and restored the Order. In 1567, Pius V reserved to the papacy the right to appoint and approve the Grand Master of the Order. There were attempts at reviving the hospitaller nature of the Order, but this was rendered relatively useless with the decline of leprosy in Europe. The Grand Mastership became vacant in 1572, and Pope Gregory XIII permanently united the Lazar order with the House of Savoy. The head of that house then united the Lazar order with his Order of Saint Maurice. 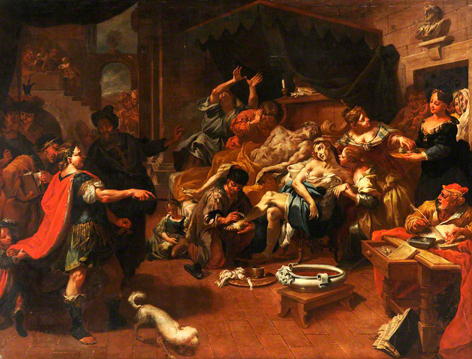 It was by this act that the Royal House of Savoy's Order of Saints Maurice and Lazarus was born, and it is this order, by act of the Holy Father, that is the true successor to the original Order of Saint Lazarus. Furthermore, the Pope gave the Duke of Savoy authority over all commanderies elsewhere in the world that were still in existence. However, the favor of the commanderies of Lazar order still operating within France, ignoring the transfer of leadership by the Pope to the Duke of Savoy, was renewed by Henry IV of France in 1604. In 1608, the French Lazar order was unified with the Order of Our Lady of Mount Carmel. This unified order became known as the Royal, Military, and Hospitaller Order of Our Lady of Mount Carmel and Saint Lazarus of Jerusalem. Then, in 1791 during the French Revolution, a decree was issued suppressing all royal and knightly orders that applied to this unified Lazar order. The following year the order's property was confiscated. During this time the Count of Provence, Grand Master of the Order (and future Louis XVIII) continued to function in exile (Guy Stair Sainty. World Orders of Knighthood and Merit. Burkes. 2006.). In the present time there are several orders using the name of the Order of Saint Lazarus, claiming French and Spanish lineage to the ancient Order. However, the only order with historic claims under Papal authority as heir to the ancient Order of Saint Lazarus is the Order of Saints Maurice and Lazarus, under the Royal House of Savoy, so granted by Pope Gregory XIII.